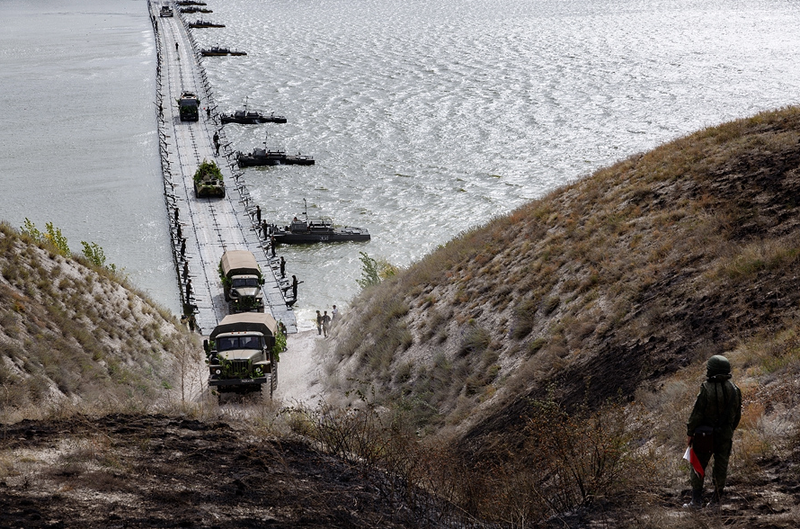 Russian engineering troops during the Caucasus-2016 drills. The Russian defence minister Sergei Shoigu announced this initiative during a bilateral meeting with his Indian counterpart Manohar Parrikar. Russian Defence Minister Sergey Shoigu suggested on Wednesday that Russia and India should hold joint engineering troops’ drills. The Russian defence minister also invited Indian specialists to take part in the Army 2017 military and technical forum. "The Russian defence minister announced these initiatives during a bilateral meeting with his Indian counterpart Manohar Parrikar," Defence Ministry spokesman Igor Konashenkov told journalists. It has been proposed that the joint maneuvers for humanitarian mine clearance should be held on the basis of the Russian international anti-mine center whose specialists took part in the operation to clear the ancient Syrian town of Palmyra of mines, he said. The Russian defence minister also invited the Indian military to take part in the Army Games-2017.